The media buzz continues on the benefits of Ulthera™ in the new issue of New Beauty. 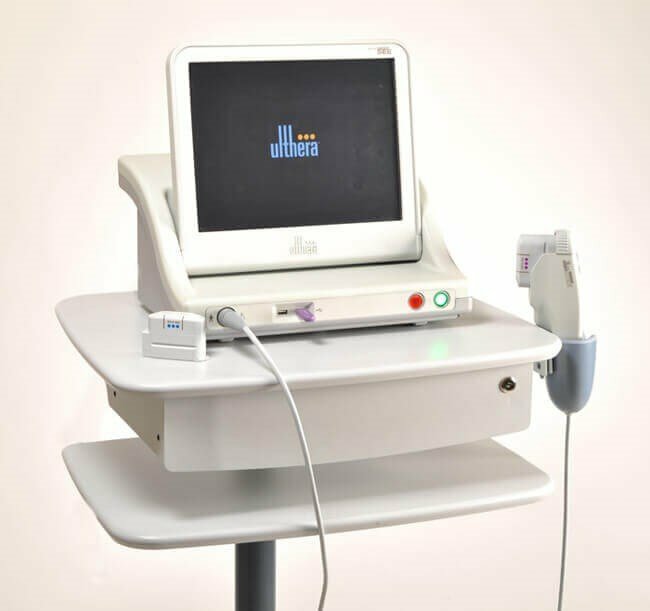 Ultherapy is a face and neck skin tightening treatment, which uses micro-focused ultrasound waves for non-invasive tissue. It lifts, firms and tightens lax skin naturally and with no downtime. At Facial Plastic Surgery Associates, Dr. Russell Kridel and Dr. Angela Sturm-O’Brien have found that Ulthera has become a very popular treatment among patients, both young and old, who are not yet ready logistically, economically or psychologically for surgery. It is an ideal treatment for men and women with mild to moderate skin laxity. However, we do not recommend Ulthera for moderate to significant skin laxity and jowling which would more likely require a surgical procedure. At the beginning of the New Year, Ulthera is an excellent treatment for patients that would like to start off 2013 with a more youthful and refreshed look without any downtime. Like all treatments, results can vary from patient to patient. However, with just one Ultherapy treatment the regenerative process has begun and many patients express some immediate results. The full effect will build gradually over the course of two to three months and last about one to two years. Check out Ulthera in the new issue of New Beauty.